Ensure the Database and File Server typically located on Capture PC or Main Office Server is running and accessible first. Verify the IP address of where the installation is located. During the first run of EZDent-i a connection information screen might appear. For Workstations/Capture PC If the database is on a remote server - click the 'Search Server" button, from the listing choose the correct IP address of where the EzDent-i Server installation is located at. Ensure the local settings are set to "Local"
3. 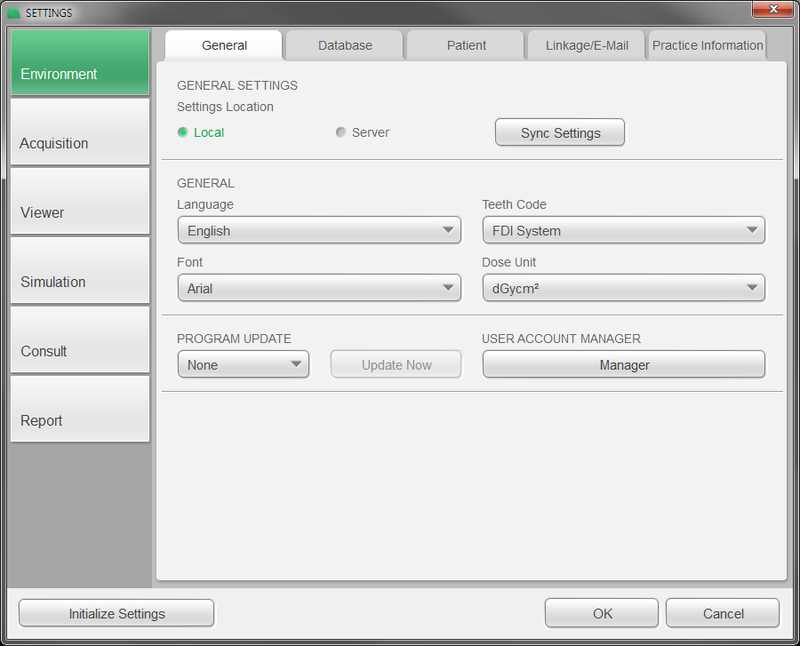 Configure EZDent-i server information by choosing the "Database" Tab. Typically the default port 5432 should go unchanged. In the event the port number is changed for any reason in the EZserver configuration the port should be changed here as well to match. Typically the default port 55001 should go unchanged. 4. Once choosing the desired configuration; click OK, you will be prompted to ensure EZPicker (If used) is set correctly, click OK, restart the program and confirm conenction is now established.